The Lidl NFL Division 1 continued apace this weekend with Ladies Football fixtures taking place across the country. 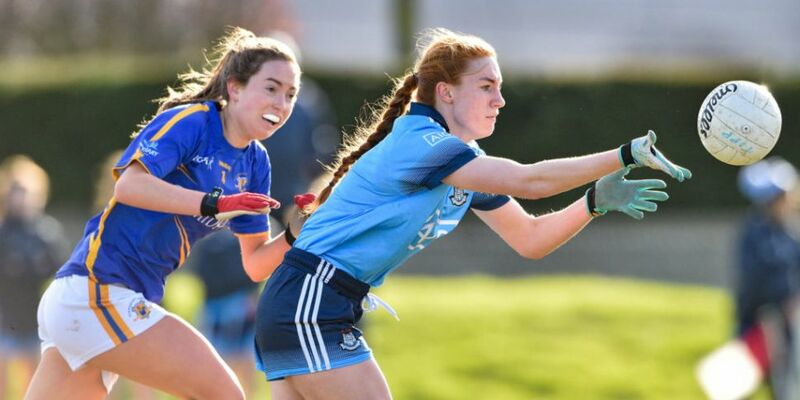 With wins for Dublin, Donegal, Cork and Galway, you can read through a comprehensive round-up of all this weekend's Division 1 fixtures here. Dublin: L Davey 2-3, S Killeen 2-1, C Rowe 1-2, N Owens 1-1, O Whyte 0-2. Tipperary: L Fitzpatrick; E Buckley, M Curley, E Cronin; B Condon, S Lambert, C Maher; A Kennedy, E Fitzpatrick; N Lonergan, A Moloney, R Daly; L Dillon, C Condon, S Everard. Subs: R McGrath for Dillon (38), O Watson for Lonergan (38), R O’Donnell for Cronin (38), A Carey for Everard (38), C Lonergan for Maher (46). 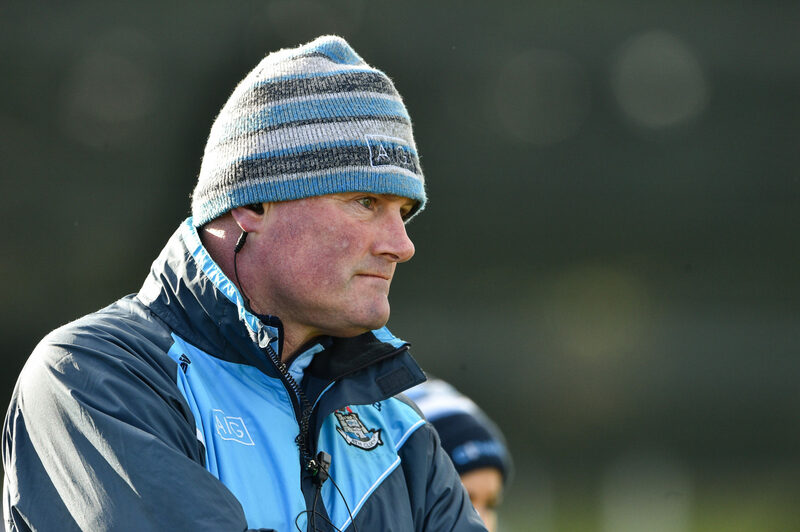 Dublin: R Fleming; M Byrne, R Ruddy, I Fitzgibbon; S Fagan, O Carey, L Magee; S McGrath, J Dunne; A Kane, S Woods, C Rowe; N Owens, L Davey, S Killeen. Subs: C Ruddy for R Ruddy (h-t), K Sullivan for Byrne (h-t), N Hetherton for Woods (38), O Whyte for Killeen (41), L Collins for Dunne (44), E Rutledge for Rowe (52), H Leahy for Kane (52), C McGuigan for Owens (55), E Keogh for McGrath (58). Match report by Nigel McCarthy. Donegal: K Guthrie 1-5 (3f), R Friel 1-1, N Hegarty 0-3 (1f), C Grant 1-0, A Boyle Carr 0-1. Mayo: N Kelly 1-2, R Kearns 1-1 (1f), F Doherty 0-3, N Gaughan 0-1. Donegal: A Nee; N Gordon, E Gallagher, S McGroddy; T Doherty, N McLaughlin, N Carr; K Herron, N Boyle; K Guthrie, N Hegarty, A Boyle Carr; G McLaughlin, M Ryan, C Grant. Subs: A McColgan for Nee (16), R Friel for McGroddy (43), T Hegarty for Grant (59). Mayo: L Brennan; R Flynn, N Moran, D Caldwell; K Sullivan, Ciara McManamon, N O’Malley; Clodagh McManamon, Dayna Finn; N Kelly, F Doherty, S Cafferky; E Needham, R Kearns, G Kelly. Subs: R Durkin for G Kelly (h-t), A Sheridan for Moran (h-t), N Gaughan for Needham (37), A Halligan for Durkin (52), L McManamom for Clodagh McManamon (56), A Roddy for Finn (57), T Hall for Flynn (57), S Wilson for Sullivan (59). Match report by Michael Gallagher. Cork: O Finn 0-4 (1f), A O’Sullivan 0-3, E Kiely 0-1, N Cotter 0-1, S O’Leary 0-1. Cork: M O’Brien; S Leahy, M Ambrose, A Kelleher; D Kiely, M Duggan, E Kiely; A Hutchings, N Cotter; A O’Sullivan, L O’Mahony, O Farmer; E Scally, S O’Leary, O Finn. Subs: C Collins for O’Mahony (blood, 15-21), C Collins for Scally (21), M Cahalane for Kiely (54), L Cleary for O’Mahony (54), C O’Shea for Hutchings (60), J Brew Dinan for Duggan (60+2), N Quinn for Ambrose (60+4). Westmeath: K Walsh; R Dillon, J Rogers, L Power; F Coyle, K McDermott, F Claffey; K Boyce Jordan, V Carr; L McCartan, L Slevin, J Maher; S Dolan, A Jones, MA Foley. Subs: N Feery for Slevin (30+1), L Brennan for Foley (30+2), MA Foley for Dolan (38), A O’Malley for Coyle (44), K Hegarty for McCartan (60), A Dolan for Carr (60). Monaghan - L Maguire 1-2 (1-2f); R Courtney 0-1, C Courtney 0-1, C McAnespie 0-1, S Coyle 0-1, M Atkinson 0-1. Galway - T Leonard 0-6 (6f); R Leonard 0-3 (2f); S Conneally 1-0. Monaghan: B Treanor; H McSkeane, A McAnespie, N Kerr; C Treanor, C McBride, S Boyd; M Atkinson, R Courtney; S Coyle, C Courtney (Capt. ), E McAnespie; E Woods; L Maguire, C McAnespie. Sub: Abbie McCarey for C Treanor (60). Galway: L Murphy; F Cooney, B Hannon, S Lynch; M Coyne, S Molloy, C Cooney; O Divilly, Á McDonagh; M Seoighe, T Leonard (Capt. ), L Coen; R Ní Flahartha, R Leonard, L Hannon. Subs: S Conneally for Ní Flahartha (h-t), E Gavin for B Hannon (42), L Booth for Coyne (50), M De Búrca for Coen (57). Match report by Colm Shalvey.